New Willies is not to be confused with Willy’s Wonder, one of the most bizarrely popular strains, or with Sour Willie, or any of the other strains allegedly dedicated to the singer Willie Nelson. But it is a popular and well-bred strain in its own right. New Willies is a 60% Sativa dominant strain and has a fairly high average THC level of 20%. New Willies is a real Sativa. Perfect for morning use, it provides a delicious blend of euphoria, energy, creativity and general happiness. It is the perfect strain for people who are depressed or for those who use marijuana to stimulate their levels of creativity. The effects of New Willes are near immediate and it is often said to be a one-hit wonder, which means that after one toke the effects are fully felt. It is not for novices, as the combination of a relatively high THC content along with Sativa dominance can lead to hyperactivity and over stimulation. The smell and the taste of New Willes are difficult to define. But it is a very smooth smoke and neither the taste nor the smell could rightly be described as unpleasant. It bears the typical appearance of weed, with dark green buds and the odd orange hair sticking out. Despite only a slight Sativa dominance, the Sativa effects of New Willies far outweighs any Indica effects it is supposed to have. The body stone is very mild. Why do Patients Use New Willies? New Willies is possibly the best strain in terms of depression. The uplifting effects of New Willies are astounding and are sure to alleviate the symptoms of anyone suffering from depression. It is also useful for anxiety, ADD, ADHD, and Bi-Polar. The issue with these types of mental conditions is that they are largely subjective and in some cases, high THC high Sativa strains can exacerbate the symptoms. While in others, they can mitigate them. New Willies is not prescribed for insomnia, appetite or chronic pain, as these areas are not where its strength lies. 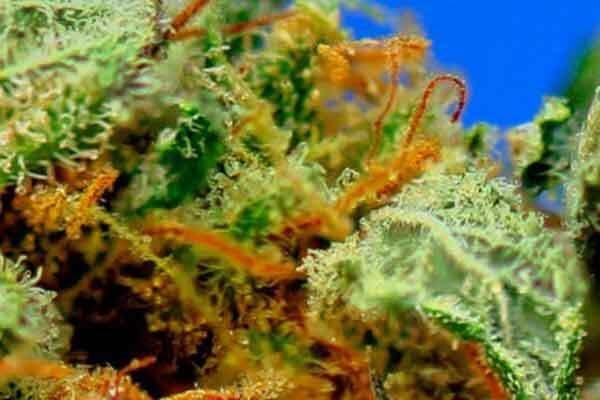 The strain is generally described as uplifting and euphoric. For patients who simply feel that something is wrong or missing it could be a perfect strain. Genetic lineage of New Willies unknown. New Willies has a rating of 8.7 on the stoned meter. The THC content of New Willies is unknown, but suspected to be in the region of 16-20%. Breeder of New Willies unknown. Flowering time around 8-10 weeks. A strain that does best in an Indoor Screen of Green setup. New Willies grows between 4-6 feet. New Willies generates a moderate yield. New Willies requires moderate growing experience. New Willies requires a constant PH level and the plants need support during the flowering stage.